The Quick Extender Pro is made from 100% hypoallergenic medical grade plastics and high grade aluminum. Every package is submitted to a quality control officer who verifies its mechanisms and functionally. 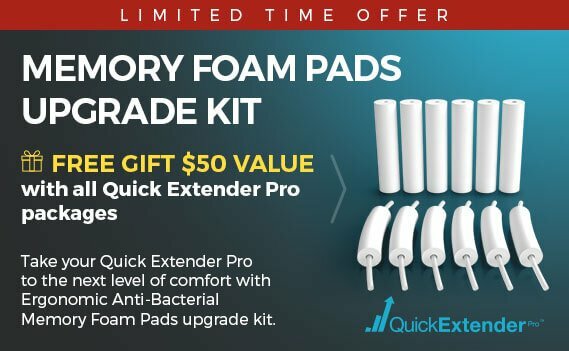 If you notice a defect or experience a malfunction with your Quick Extender Pro, please click the Contact Customer Support banner to get in touch with a customer support specialist about your warranty.